The department of information and communication technologies (ICT) provides technological support to all other areas of the Institute’s operations. At the same time it develops independent conceptual and applicative solutions from the area of information systems. We upgrade existing open-code GIS solutions (mainly Quantum GIS). We develop independent web solutions, produce e-textbooks and prepare e-materials. 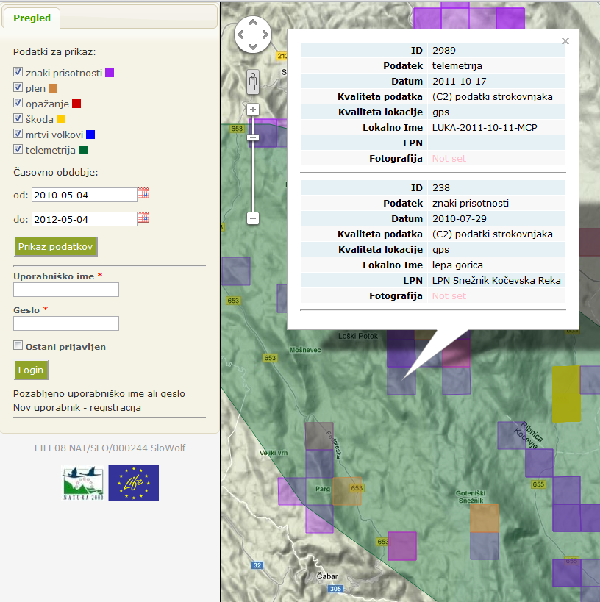 We provide time consuming and program-demanding spatial inquiries in various databases (own databases and data from the topographic-cartographic system of The Surveying and Mapping Authority of the Republic of Slovenia).